Condensing our history into a few lines is not easy. Mainly because we have been around for 50 years. 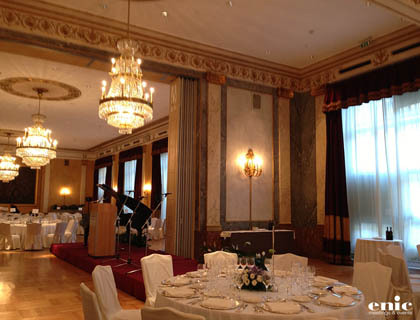 We are PCO DMC Event Organizers and MICE Service Providers. 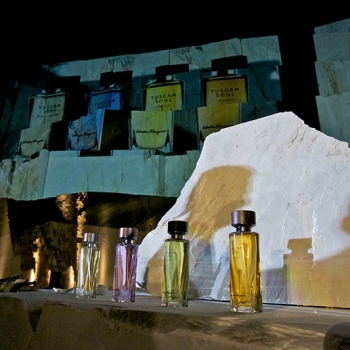 M.Cristina Dalla Villa founded the company in 1964, now her son, Stefano Gabbrielli is the owner and CEO. Our main office is in Florence, where it all began, but we have representations throughout Italy and in many European countries. 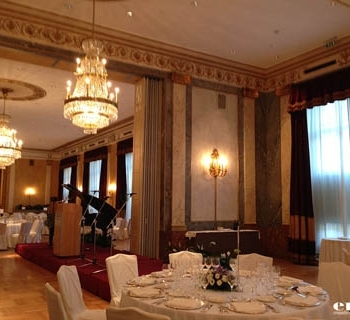 Over the past 50 years, we have tackled and resolved every possible problem that could arise before and during an event. Nothing takes us by surprise because we feel – and are – ready to deal with and fix everything. Planning, management and coordination of all congress-related activities. And what exactly does this title mean? 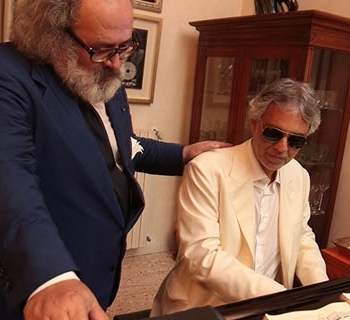 A charity trip for 120 American VIPs and a five-day series of events in Tuscany all organized by ENIC in cooperation with the Muhammad Ali Parkinson’s Center of Phoenix and Italy’s Andrea Bocelli Foundation. A Renaissance-theme gala evening at the Teatro della Pergola organized and sponsored by Stefano Ricci, who also was the key figure in setting up the dinner at Andrea Bocelli’s home at Forte dei Marmi where the guests were entertained by Lionel Richie and John Legend, with Sophia Loren as hostess – just in time to celebrate her birthday! Piazza della Signoria was flocked with people applauding George Clooney with then-fiancée Amal, Zubin Mehta, John Legend, Reba McEntire, Laura Pausini, Michelle Hunziker, David Foster, Belen Rodriguez, Tony Renis, Leonardo Ferragamo, Nicoletta Pavarotti and others as they progressed along the red carpet to attend the final party hosted by Ermanno Scervino in the Salone del Cinquecento in Palazzo Vecchio. 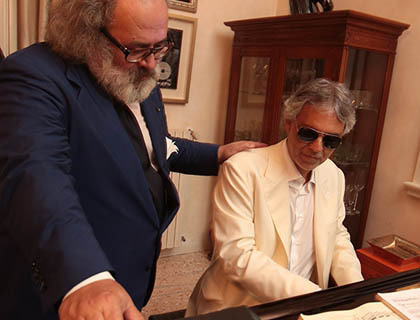 The charity auction and concert by the Orchestra del Maggio Fiorentino added more sparkle to the event that ended up collecting six million dollars, a success that will lead to a repeat edition in 2015. 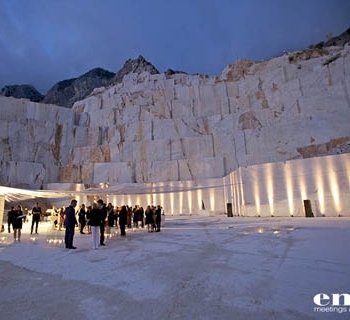 The quarries where Michelangelo chose the blocks of marble he transformed into masterpieces are still there, blindingly white on the Apuan Alps that tower over the sea below. 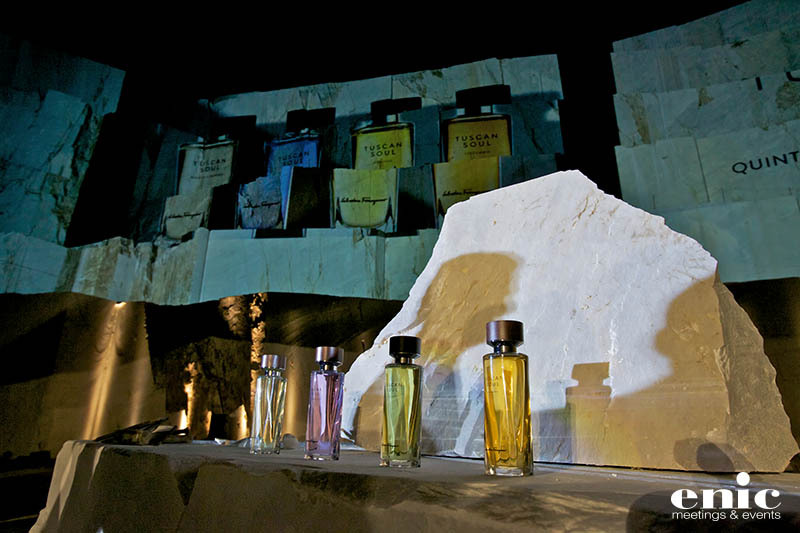 And we chose this truly unique location in 2013 for the international launch of the new Ferragamo fragrance. The guests – journalists, opinion leaders and VIPS from all over the world – rode up to the quarry on off-road vehicles. 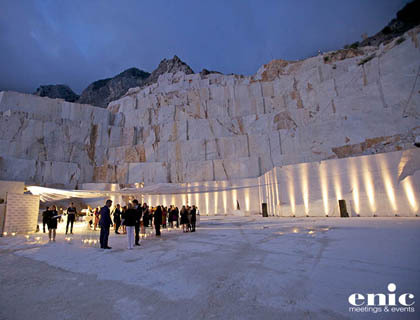 Once there, as they sipped aperitifs, they enjoyed a multimedia presentation featuring a video mapping on a forty by eighty meter “screen” on the spectacular white wall of the quarry. It was a cool, September evening, with shawls and blankets for the guests who then continued on to the warmth of Studio of Carlo Nicoli at Carrara where they sat down to dinner. Then, the finest hotels of Forte dei Marmi welcomed the guests for a relaxing day on the resort town’s famous beach. The Australian Bar Association loves Italy and we at ENIC are more than happy to help the members discover the most fascinating aspects of a different city each time they come here. Rome, our amazing capital, was the setting for the 2014 meeting. And we organized theme tours and excursions that offered a look at the Eternal City and its legends: there was the “ANGELS AND DEMONS TOUR” that included stops at Piazza Navona, the Pantheon and Castel Sant’Angelo and “THE GLADIATOR” that took our guests to the Colosseum and the Roman Forum. The church of San Paolo fuori le Mura, with its Cloister and Museum was the focus of another exclusive tour which, in terms of success, could only be compared to the private tour of the Vatican Museums and the Sistine Chapel with the amazing ceiling and Last Judgment frescoed by Michelangelo.